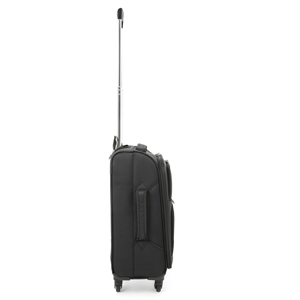 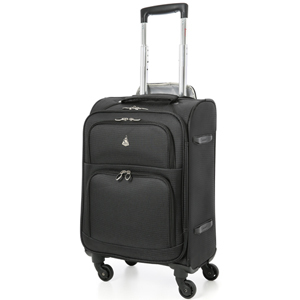 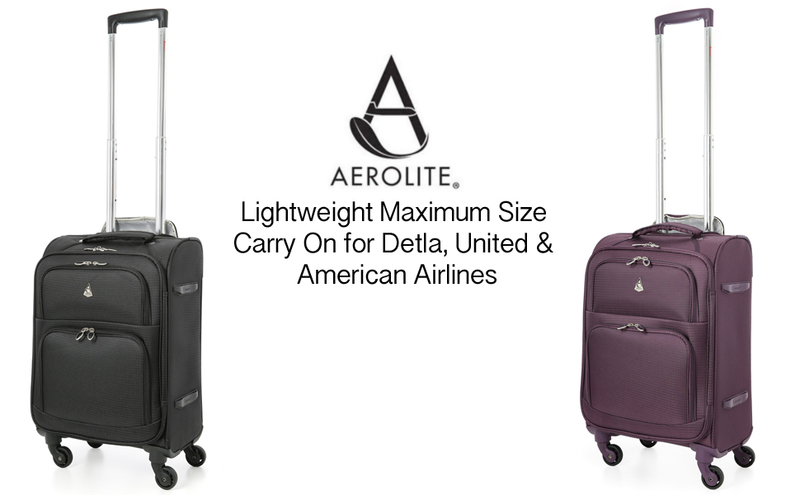 The Suitcase can swivel and spin thanks to the 4 wheel design, ensuring it can be either pushed or pulled. 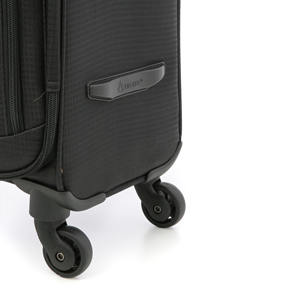 Branded rubber side protectors also help keep your suitcase away from getting worn out. 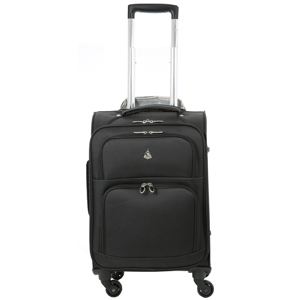 A sturdy retractable grip handle is actioned via a push button which aids easy transporting. 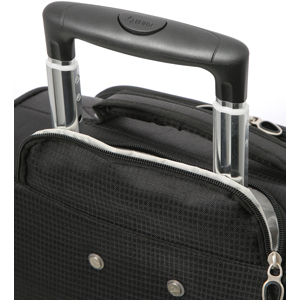 A top and side tug handle means you can carry it like a holdall when needed too.